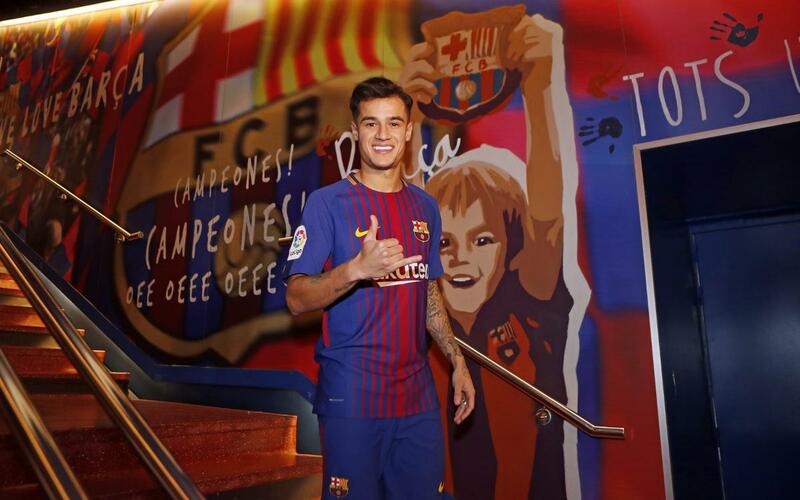 Barça's new Brazilian midfielder admitted he is "very happy" to have signed for the Club and that he had "often dreamed of scoring in the shirt"
Philippe Coutinho is now officially an FC Barcelona player. The Brazilian signed on the dotted line during his official presentation on a busy Monday in the city of Barcelona. The day began with a medical at Barcelona Hospital and at the Club’s Medical Centre and then followed the signing of the contract and his first appearance on the field at Camp Nou in a Barça shirt.